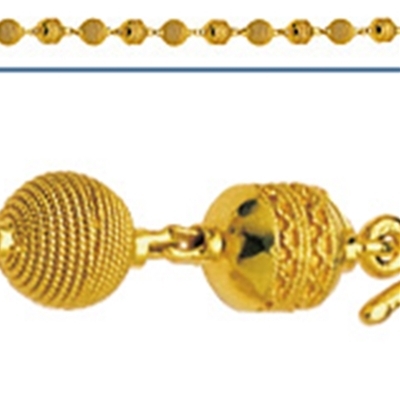 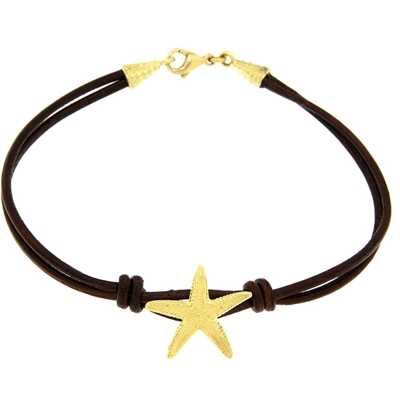 Gold bracelet, entirely handcrafted with spiral filigree spheres and drum-shaped gold inserts. 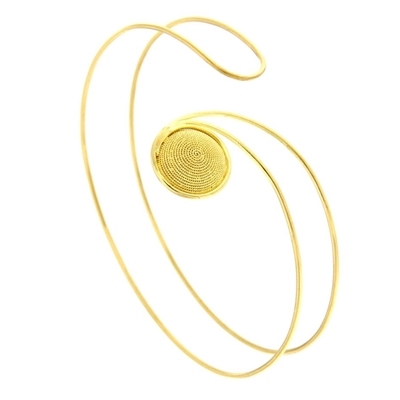 Gold 750/1000 bracelet, entirely handcrafted with high-polish gold wire and spiral filigree disc. 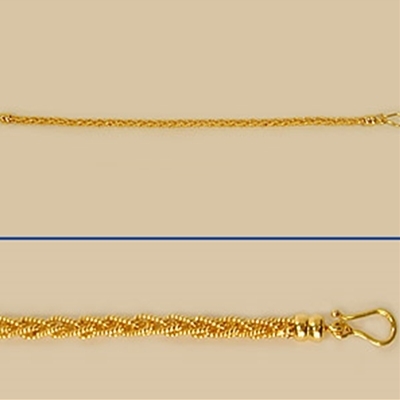 Gold bracelet, entirely handcrafted with filigree. 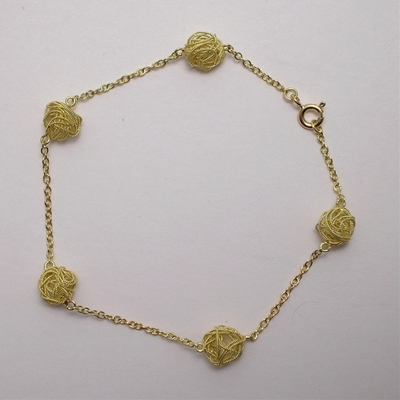 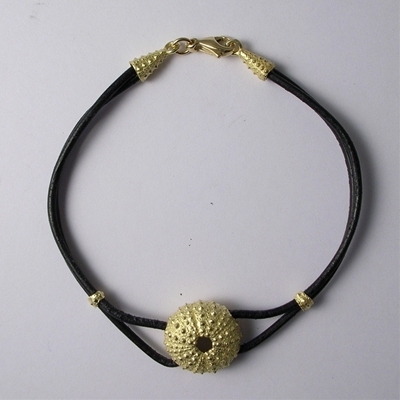 Gold bracelet, entirely handcrafted with filigree ´balls of yarn´.